Use the arrow keys to navigate through the slides. Use the Up / Down / Left and Right keys. For a complete list of differences from HTML4 check the w3c page. HTML5 is not XML but closing tags are still valid. You might wonder, why in some tutorials you find an attribute autobuffer instead of preload. HTML5 replaced autobuffer (which had no value) by preload (which can have as values auto, metadata and none). I you want to know why codecs are not part of the w3c standard anymore read about it on wikipedia and Ian Hickson's response on the whatwg mailinglist. There is even a proposal for DRM in the works, something the industry wants to have but lots of users and perhaps some browser vendors don't want. There is a very good article about progress bar styling on css-tricks. If the meter belongs to a form but is placed outside of the form tags you can add the forms ID using the form attribute of meter, here is an example. Some time ago the time tag was dropped, but then after protest of web developers was put back in. The pubdate attribute is a boolean attribute. If specified, it indicates that the date and time given by the element is the publication date and time of the nearest ancestor article element, or, if the element has no ancestor article element, of the document as a whole. But it's not sure if the pubdate attribute will stay. Another nice use case for canvas is displaying pdf documents by reading the pdf using pdf.js from mozilla and then using the canvas element to display it. Your browser does not support canvas ... go away! Yes there is, use divs every time there is no tag with a semantic value that could replace it, or for content where you don' want to add semantic value because you just wont to be able to style it's content using CSS. Was already available in HTML4.01 but there the address always referred to the document owner, in HTML5 address can be placed in an article and then represents the address of the article author. Should i use the new tags today? In HTML5 users can create custom attributes that will be valid, the only rule is that the attribute must be prefixed with data-, for example data-foo="bar". // Add new data attributes via JS. There is a new attribute called the placeholder attribute for forms input fields. It will create a semi transparent text inside input fields indented to eventually replace the label. Use the autofocus attribute as attribute of the input field of your form if you want that field to be selected open opening the page. Form fields can now have the attribute required, browsers like chrome will show a tooltip message near the field if the user tries to submit the form but the field is still empty and will prevent the submit event until the required field is not empty anymore. Using the pattern attribute you can define a regular expression that your field content is validated against. You should also use the title attribute and explain what you expect from the user. To upload multiple files you can add the new multiple attribute to the file input tag. The other can now select multiple files and then click the upload button. You have to adapt your side side scripts to let them accept multiple file uploads and maybe should add some rules to avoid users spamming you with hundreds of file uploads. should i use the new attributes and types now? 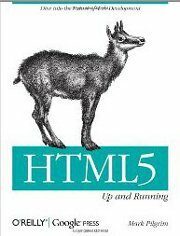 HTML5 defines some types of links using the rel attribute. One of the new values is prefetch with tells the browser that it can prefetch that link because it is likely this resource next. Or the values prev and next which are useful for pagination. Nofollow tells search engines that the link should not influence link targets rating (its useful to avoid hackers to spam your comments sections with posts full of links if you apply automatically nofollow to all links that are in comments). The bookmark link type could be very usefull too, it specifies a permalink for the parent content. In combination with url shorteners like goo.gl and the rel="canonical" you could make permalinks that are usefull for the visitor as well as search engines. Canonical is not part of the HTML5 specification but it will not make your html5 page invalid, because the HTML5 specification says that values of the rel attribute that are unrecognized by the browser will be treated as normal links. 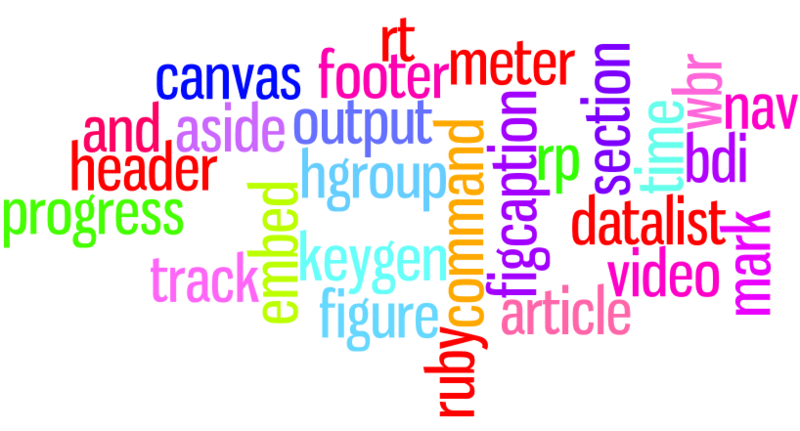 Here is a list and description of all rel values available in html5. Microdata are machine-readable labels that can enhance the semantic value of your documents for crawlers like google bot. A definition of structures for microdata from schema.org. Google has a very useful page about microdata, at the end of the page are examples of microdata that google recognizes like people or reviews. Go for example to the page reviews and there you will find examples howto use microdata to ensure google uses your data to create rich snippets that will enhance the search results of your site in google results pages. You can test your page to check if google recognizes your microdata. Look at the microdata example file, to see an example of a document containing a blog post and comments (source: w3c HTML5 specification). 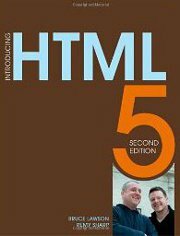 DOM4 is not part of HTML5 but it will probably be part of modern web development as well as CSS3 which also isn't part of HTML5. To learn more about DOM4 red the w3c editors draft. One of the cool things DOM4 will offer are DOM Mutation Observers, a good article can be found on html5rocks.com. An API for playing audio which can be used with the new audio tag. We have already seen the video tag, the track tag and the webVTT format for subtitles but there is even more. With the native browser API, you can choose not to use the native controls but build your own. Or make your script interact with the videos. The html5 drag and drop API will allow you to make items on your website draggable. Combined with the new file API you can even do drag and drop file uploads. 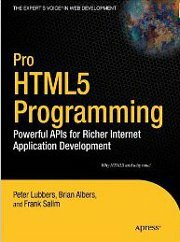 Two good articles that will help you get started with the drag and drop API by html5doctor and the html5rocks article. This new API is especially useful, if for example you use Ajax to retrieve a list of news and the user changes the filters and then he bookmarks the page. When he comes back, everything is reset and he sees the default news list again. But if you change the URI using the history API while he changes the filter options to save their state in the url and he then bookmarks the page, every time he comes back the filters will be set to the values he had selected when making the bookmark. An impressive example of the history API, is github, check out how github only reloads the content area of the page and changes the url without reloading the whole page. jQuery Mobile also uses the history API, jQuery Mobile loads new pages using Ajax, adds those pages to the DOM and then changes the url. This API sends out notifications if the current browser tab changes it's visibility, you can catch events like prerendering, visible or hidden status of your page. Page visibility is still work in progress and it looks like it got implemented slightly differently by the browsers that support it (chrome, safari, opera and firefox, IE 10 will support it too). Therefore it might be a good idea to use a wrapper library like visibility.js that can be found on github. The geolocation API allow you to locate users. The techniques for geolocation vary depending on which technique is available, GSM triangulation, GPS localization, WiFi triangulation or IP geolocation via a database. With the watchPosition function you can track users, if the position changes the callback will be executed. To stop watching geolocation changes you call clearWatch. Web workers allow you to put heavy tasks like calculations in threads, to make them run in the background and therefore don't make the user wait for them to finish. You can listen to web workers and get a notice when their work is done. Another html5 feature is the offline ode which allows you to make your website available offline. This can be useful for mobile users. To use the offline mode you need create a manifest file and add a the manifest attribute to the html tag of your page, the manifest attribute value is the path to your manifest file. From w3c: If the manifest's scheme is https: or another scheme intended for encrypted data transfer, then all URLs in explicit sections must have the same origin as the manifest itself. The manifest file has three sections. CACHE is a list of all the files you want to make available offline. FALLBACK a list of files that were available online like a login page which you want to replace by a special offline version of that page. While downloading the files listed in your manifest your browser will fire out progress events you can listen to and which tell you how much files have already been downloaded. It will fire even more events when download starts, finishes or noupdate if nothing new got downloaded because all files are already in your browser cache. The local storage allow you to save key / value pairs locally in your browser. Those informations persist even if the user closes his browser. Those informations can not be read by another website that is hosted on another domain because of the same origin policy. Unlike cookies the information in the storage never gets transmitted to the server. The session storage is like the local storage but the data doesn't persist if the user closes his browser. Using the fileapi you can now listen to the progress events and display the progress to users using a progress bar. You can preview images before they get uploaded. You can even create files, for example you can create thumbnails of images even before the user clicks the upload button. The w3c html5 file API draft and here is the filesystem API w3c page. Lots of informations and code examples can be found on the mozilla developer zone. Here is a file upload drag and drop demo and html5rocks has an article that explains howto use the file api and create a drag and drop upload field. Yet again on html5rocks is a very good article about the filesystem API. 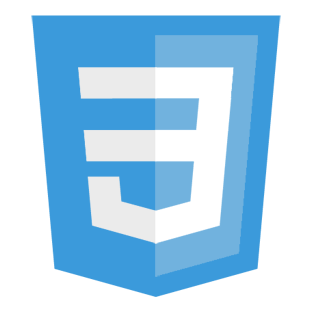 The fullscreen API allows you to put any html element in fullscreen mode. getUserMedia() can be used to access the users webcam, the video stream can be displayed in a canvas element and therefore be modified in real time using canvas functionality. Opera is the has a nice example. The w3c editors draft can be found here. With the webRTC standard you could easly create a web app like chat-roulette. Web sockets allow you to build a bi-directional communication channel to a socket of your server. That connection stays open for as long as you want, you can send data as often as needed to the server. The server can push answers to the client every time he wants, the server doesn't need to wait for the client to ask something. An application that needs such a feature is a chat. An ajax chat would have to check every second if there is a new message an the server that got written by another user using an ajax request. With web sockets all you need to do is open a connection and wait for incoming messages by the server. The web sockets specification from w3c. There are also two interesting articles on the mozilla developer zone and html5rocks and a demo can be found on html5demos.com. Cross-window messaging is a new technique that allows you to send messages to other tabs opened in your browser. Your right if you think that xmlhttprequest are nothing new, the news is the level2 suffix. The most important new advantages of xhr2 are a standardized technique, xhr file transfer (ajax file upload) and cross domain xhr requests. The w3c xmlhttprequest working draft. A good article about the xhr2 can be found on html5rocks with examples for file uploads using xhr, sending data to the server and even howto request data from a different origin. This new feature allows you make elements editable, like a div containing some text. The w3c's description of this new feature. A very good article about contenteditable can be found at html5doctor. A small demo can be found on this page. The w3c's description of this new feature as well as the whatwg.org website. Apparently you can't set a language. The language used by the spellchecker is the main language of the users browsers. So even if you set the language in the html tag using the attribute lang, the spellchecker will ignore it. Something else which is not great is that the spellchecker does not suggest you correct spelling by putting a select box under the word, you have to do a right click on the word to get a list of corrected words. SVG (Scalable Vector Graphics) is not part of html5, but still new for a some browsers and interesting. SVG is an XML markup language for describing two-dimensional vector graphics. A cool new feature that you might encounter in the future are SVG filters, that can be for example applied to a HTML5 video or images. This API is not active anymore, if you want more details take a look at the w3c webdatabase specification. The w3c decided to stop working on this specification because of a lack of different implementation ways. Every vendor that supported it used SQLite as the backend. Therefore the w3c was unable to test different implementations and stopped the working group. In my opinion is very sad for the web not to have something like an SQL Database in the browser, but i don't blame anyone because i can understand why the w3c stopped their work and i can understand the browser vendors for all choosing SQLite as backend, writing and supporting an own backend can be a lot of work. Just to clarify this, iframe's are still part of html5 but frames are not. There are a lot of new and exciting things going on in the CSS3 world, i won't present you all, but here are some i like a lot. If you want to use CSS3 stuff today and still want to support IE, you will have to use polyfills like the next two, CSS3 PIE to get support for box-shadow, border-radius, multiple-backgrounds, gradients and more in IE6-9 and selectivizr to get css3 selectors support in IE6-8. RGB colors were already part of previous CSS versions, but what's new in CSS3 is that you can now also specify the alpha value. This value controls the opacity of a color, where 1 is fully opaque (visible) and 0 totally invisible (transparent). This is a nice addition to the growing list of CSS features, it adds a nice background effect to your text. gradients made with CSS, no need to create an image in gimp anymore. For linear gradients you define a direction or angle, the start color and an unlimited number of stop colors. Optionally you can also define a length per color (with the length you can change the natural position where a color would start by a value you think is better, in percent). For radial gradients the syntax is similar but slightly more complex, first you define a position where the gradient should start, second parameter is the type of shape (circle or ellipse) and optionally it's size (closest-side, farthest-side, closest-corner, farthest-corner), then like for linear gradients an unlimited number of color stops. Radial and linear gradients can also repeat their colors indefinitely, by using the repeating gradients functions for either repeating linear or radial gradients. Nice write-ups for gradients can be found on impressive webs and on css3files.com. Here is a nice tool that let's you play with gradients to help you quickly find the gradient you want to use: http://gradients.glrzad.com/ or http://www.colorzilla.com/gradient-editor/. The w3c draft for gradients is a good source of information. Using the radial gradient for the body background was tricky, a good solution can be found in a stackoverflow post. Font face allows you to embed fonts that are not yet on the users computer. Finally you can use whatever font you want in your web-pages, define an source for the font, if the user doesn't have that font the browser will download it from your server. Google made a portal with lots of free web fonts. Together with typekit google developed the font loader, which makes embedding fonts really easy and allow you to download the fonts asynchronously. The media queries are not new but have been enhanced. They are very helpful when it comes to creating a responsive web-app, where you want to build pages that adapt themself depending of mainly screen size. But not exclusively, you can also check for orientation (landscape / portrait), aspect-ratio and some more. For a complete list check the w3c page. two good video tutorial can be found on nettuts and another one on about.com. examples of websites that use media queries can be found at http://mediaqueri.es/. Transitions are easy to use but what you get can be pretty nice. The main advantage is that transitions let you transition from one state to another. All you have to do is set the CSS property you want to transition from its initial state to another state i will have let's say on hover. Another property is the duration of the transition. You can also use a function to calculate intermediate values and finally you can define a delay that the transition should wait before starting. A good guide about transitions can be found on this page. The new CSS3 animations are very powerful, but also complex to learn. They are to do animations, that can be as complex as flash. The CSS3 @keyframes rules let you gradually change the properties of a DOM node. The animation properties let you define default values to describe the animation. Coding everything by hand can be heavily time consuming, but firms like Adobe will or already started creating animation tools that will make animating a lot easier. Take a look at their edge preview. To find some cool CSS3 animation examples, just google for them, there is already a decent number of them out there. Transformations do exactly what the name supposes. They allow you to transform a DOM node. A nice example of transformations used to create a rotating (3d like) cube, made of different images transformed to make a cube. All of desandro's examples can be found on this github page. For more details read the w3c CSS3 Transforms working draft. An important part of the new css3 standard are the new selectors, they will allow you to create more powerfull stylesheets. For more informations i recommend reading the new selectors w3c recommendation. Not every browser supports the same CSS properties. That's why every browser has it's own vendor prefix. A browser uses a prefix for CSS properties that are not a standard yet, but have the draft status. This allows developers to use those properties and test them. Then maybe in the future if all browser is willing the implement the property it will become a w3c standard. I hate vendor prefixes, they increase the size of your CSS files by a lot if you use them, which is bad because you have to type more code and afterwards your users have to download bigger files which results in slower page loading times. 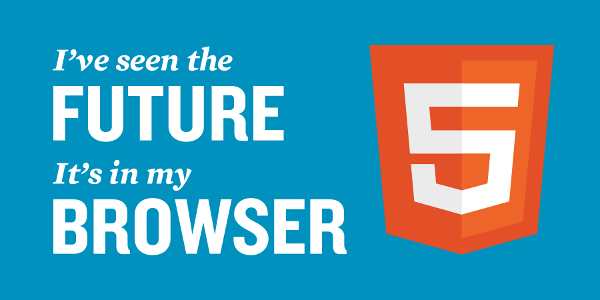 Why should i use HTML5 today? Because lots of features degrade gracefully, modern browser will support the features other browsers will ignore them or fall back to another technology. There are operating systems like Chromium OS and Mozilla's Boot2Gecko that are for HTML5 webapps only. Why shouldn't i use HTML5 today? Github social codings has lots of interesting projects to enhance your html5 / CSS3 website.